There are 27 posts in this thread, and it has been viewed 9132 times. Desparately trying to find Blue Lightning! 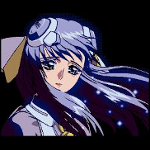 Were any SNK related games ever released for it? Most of them seem to be Tengen or Epyx orientated (not surprising as Epyx developed it and sold it to Atari). Cool! I wanted a Lynx so bad when I was little. Let us know what you think of it after you've had some time to get to know it better. Congratulations on getting a Lynx...I still have mine and I enjoy playing it once in a while, especially Lemmings and Shadow of the Beast. Thanks all. Nice to think the Lynx is a well-thought of handheld! joust and robotron are simple but fun games esspecialy joust it keeps u on the edge of ure seat, have fun with it. I've been thinking of getting a lynx for a while, didn't want to start a new thread, just wanted to know what it feels like to play and what the game quality is like. Quality of Lynx games are generally excellent. Graphics take some getting used to as the machine is trying to do some really clever stuff like scaling and scrolling. Games like Blue Lightning and Chips Challenge are superb. Try and go for a Lynx 2 as it is smaller with a better battery life and a better screen. Better still, get power lead for it. A bit like the PCE GT portable, you have to accept that it is really not that portable. Once you get over that, and treat it like a "normal" console, you will have a lot of fun. It's a piece of gaming history and was well ahead of its time. I have to agree that the overall quality of Lynx games is quite impressive, there are quite a few games that really stand out...especially Shadow of the Beast and Lemmings (I think it's the best console version ever). There are also some games that are just too difficult because you don't get a lot of lives or continues like in Dirty Larry: Renegade Cop, Batman Returns, Ninja Gaiden (which I actually finished) and Shadow of the Beast (which I almost finished). One of the most impressive things about the Lynx is playing multiplayer games with other Lynx players (my wife also has a Lynx and we share some games). The Atari Lynx is still one of my most favorite systems ever together with the Neo Geo AES and Sega Megadrive. Oh yeah, I prefer the first version of the Lynx, it might be a bit big, but I think it has a better feel to it and it looks better...a case of personal taste I guess. How is Ninja Gaiden and Hydra on the Lynx? Xybots also seems very cool! Would love to own one but I guess it might be hard to find a console where the screen is as good as new. Hmmm The opening Laugh would make a great sound for a PC or a Phone You should hunt that game down, its definitely worth it. Hard Drivin comes to mind as well since it is almost impossible to actually play for any length of time even though you really want to. Desert Strike was fantastic and BMX and Surfing on California Games is probably one of the most fun addicting things ever. 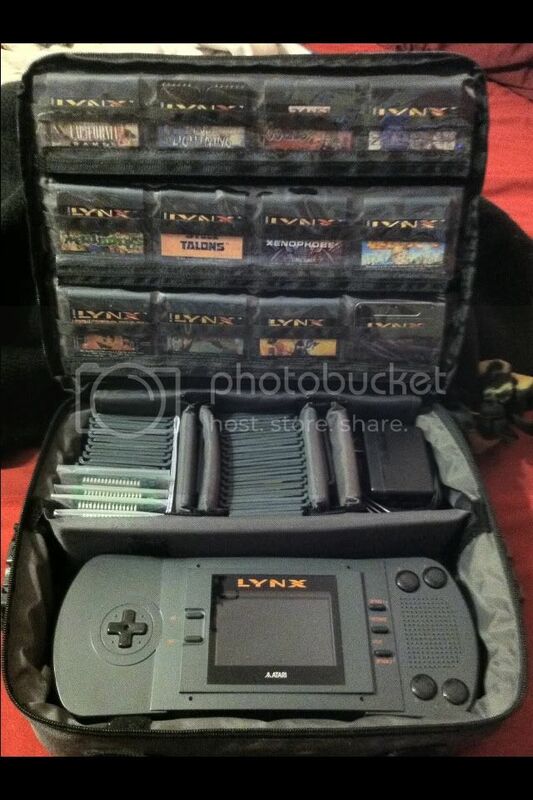 Hope you enjoy your LYNX Even now after all these years I think its still a pretty good buy. It is one of the few consoles/systems I will never part with. Xybots is a great game that plays exactly as the Arcade hardware [ without the cool sticks of course ] I don't remember Ninja Gaiden so I probably don't have it ? Hydra is a marginal port that plays as it should but nothing worth selling a kidney over [ I still own a full cabinet Hydra as well It's stuffed in a Pole Position 2 cab but whole. I was going to put it in a proper Dura-Mold cab but never got a hold of a donor. Not sure if its still around but Atariage used to have tons of good info on the LYNX with game reviews etc and a decent community as well. My all time favorite handheld! So many fantastic arcade ports, great original titles and some top notch homebrews and independent releases. Bought the system when it first came out with funds set aside from my earnings as paperboy. Played it for many years until the day my little brother stepped on it- I'd ultimately replace it with the smaller Lynx model 2. The Lynx model 1, large as it is, remains my favorite version of the handheld so later on I bought another of those as well! Over the last two decades I've slowly built up a nearly complete library of retail-released titles with just four games yet to be added! As for those bagged EPROM carts in the leftmost compartment, we have an unfinished proto of Daemonsgate, a homebrew port of Lode Runner, the fantastic indie release Alpine Games and the recently unearthed complete version of the Eye of the Beholder. If you've never played a Lynx you're missing out on a great little machine and should check it out if you get the opportunity, particularly if you're a fan of old-school arcade classics! Very nice... the Lynx 1 was my favorite out of the 2 models. I had a 2nd model and ended up getting rid of it a couple years back. Chiba, did you spend much time playing Paperboy on it? Since you were a paperboy you should have been good at it!!! @Daraku: Thanks! Yeah, even 20 years later I still need my California Games/Joust fix on regular occasions. That usually gets me going and I usually end up playing at least two or three more titles before tucking the system back into its soft-case until its next call to action. I like the solid, sturdy feel of the model 1 Lynx as well as its crisper, clearer sound and scratch-resistant glass screen. Plus, I think it's design is more stylish and classy in its simplicity. A more "high-end" appearance than the model 2. Some people complain that the model 1's grey color is painted on but you'd have to be pretty rough on it to leave visible scratches. I haven't left any on mine after years of (at minimum) monthly play. Lol- of course! The childhood career that put a Lynx in my hands deserved respresentation. Seemed only fitting that it's among my most frequently played Lynx games. Though if I had to put up with half the sh*t the game throws at you on my actual paper route, I'd likely be enjoying the rest of my meals through a straw and on very unfavorable terms with the parents who sent me out into a suburban death trap on a bike.